The need for low-carbon technologies to tackle climate change is driving a new interest in energy materials. Materials that allow ionic conduction – the movement of charged ions though defects in the crystal lattice of a solid or solution – could enable a new generation of low-cost, high-efficiency fuel cells and batteries. These ionic conducting materials – particularly in solid form – are the focus of the Electroceramic Materials Group at Imperial College London. How long has the lab been running? That’s a very interesting question. 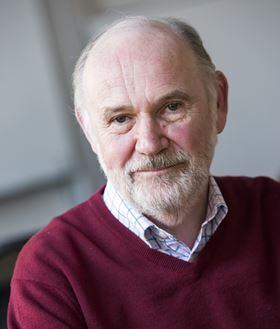 The group has its roots in the Nuffield group in the Department of Metallurgy in the 1950s from work started by Professors Ben Alcock and Brian Steele on solid electrolytes. Since that time, the group has existed in various guises such as the Wolfson Unit for Solid State Ionics in the ‘70s and the Centre for Ion Conducting Membranes in the ‘80s until it took its present form in the early 2000s. How many staff make-up the lab? The academic staff are Professors John Kilner, Alan Atkinson, and Stephen Skinner and Dr Ainara Aguadero, who joined in 2014. 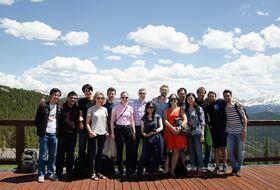 We have two research fellows (Dr Na Ni and Dr Xin Wang) and six research staff at the postdoctoral level, as well as 13 research students and four M.Sc. students working on projects within the group. What are the major themes of research in the lab? The major research theme that has run throughout the long history of the group has been the development of materials with high ionic conductivity for electrochemical devices for clean, efficient energy conversion and storage. This includes high-temperature devices such as the solid oxide fuel cell (SOFC), solid oxide electrolyser cell (SOEC), and gas separation membranes. We are also interested in lower temperature devices such as Li batteries, sensors, and thermoelectric devices. The research covers many aspects of the discovery and development of new materials for these applications. This scope includes research into the crystal structure, defect structure, mechanical properties, stability, and mass and electrical transport properties of promising materials, both single phase and composite. We have pioneered the use of stable isotopic exchange and the ion beam technique, secondary ion mass spectrometry (SIMS) to characterize the kinetics of oxygen transport and gas solid exchange in a range of materials for SOFCs and SOECs. A particular example would be the development of mixed ionic electronic conducting materials for SOFC and SOEC air electrodes such as the Ruddlesden Popper oxide La2NiO4+d. We have employed 18O isotopic exchange depth profiling technique (IEDP) using SIMS to show that these highly unusual oxygen excess oxides are excellent candidates for use as reversible air electrodes in SOFC/SOEC devices. More recently we have become very interested in the phenomena at surfaces and interfaces of oxide materials and their effect on ionic transport. We have again pioneered the use of another ion beam-based technique, low energy ion scattering (LEIS), to investigate the atomic composition of the outermost layers of ionic and mixed conductors to understand the complex process of gas/solid exchange that is fundamental to the operation of many of the electrochemical devices mentioned above. Long-term stability and aging of these materials in use is becoming increasingly important for the operational lifetime of devices. We have recently developed computer simulation tools to predict the evolution of real 3D microstructures of porous electrodes and how this affects their performance and mechanical properties (which we study using nano-indentation). How and why did the lab come to work in these areas? The research group has always been interested in the development of materials for clean energy technologies. This has been a difficult road to follow at times as interest has waxed and waned in alternative energy with the swings in oil price. The more recent realization that climate change must be tackled by controlling emissions has added a new impetus to the development of these low carbon technologies. Besides, the materials under study are fascinating in themselves as they are highly defective, have almost liquid-like transport properties for one of the component ions, and have to meet stringent requirements to be suitable for use in devices. What facilities and equipment does the lab have? We have a wide range of equipment for the characterization of the physical and mechanical properties of these materials, but our specialization has been in the measurement of the mass and electrical transport. To this effect we have several high temperature rigs where we can use stable tracers for diffusion experiments such as 18O, 2D2O, H218O and 6Li. Materials are then characterized and/or depth profiled in our SIMS/LEIS instrument. This instrument was installed five years ago and is unique worldwide, as it is a combined instrument with the capability of analysis by both techniques without exposure to air. The instrument also has a preparation chamber in which samples can be heat treated prior to analysis without exposure to ambient air. We also have a focused ion beam SIMS for the analysis of very small areas on samples, e.g. individual grains of a ceramic or a ceramic composite, fresh interfaces and grain boundaries, and processes taking place under applied bias. More recently, we have developed a dry box system for the processing of Li conducting ceramics for Li batteries and developed a system for transporting these materials from the drybox to the SIMS/LEIS instrument without air exposure. Some of the Electroceramics Materials Group at the SSI conference in Coloradan 2015. Professor Stephen Skinner is in the center. The SIMS/LEIS instrument has to be the flagship instrument of the group. It is the third generation of SIMS instrument that we have had in the lab since the first instrument was installed in 1979. It is used by a large number of research groups at Imperial College and has proven to be a significant advance on our previous instrument. What has been the lab’s highest impact/most influential work to date? One of the highest impacts from the group has been the founding of a spinout company, Ceres Power, in 2001. The company has strong links with the group and now has over a hundred employees and is considered as the world leader in metal-supported SOFC technology. Ceres has recently formed a joint development with Honda in Japan to develop its SOFC technology. Using our LEIS instrument, we have just now discovered that the surfaces of mixed conducting electrode materials show a surface termination that was unexpected, as it does not appear to favor the transition metal ions thought to be necessary to aid the exchange of oxygen across the surface at high temperature. This process is essential for the efficient working of SOFCs and SOECs and we are continuing to investigate the ramifications of this finding. A steady supply of excellent research students and postdocs, as well as the support of funding agencies, is essential. We have been very lucky to have chosen an area of fundamental research with a high potential societal impact. This is very interesting to young scientists wanting a career in research with a very practical bias. We have thus been very fortunate to have had many excellent young people from across the world to work with us through the years. The other important factor is that London is an excellent location for international collaboration. We have very close links with leading-edge groups in ionic conducting materials from institutions such as Massachusetts Institute of Technology, Kyushu University in Japan, Technical University of Vienna, CIC EnergiGUNE in Spain, Curtin University in Australia, ENSC Lille in France, and RWTH Aachen in Germany. These links help us to identify key areas of research so we can remain at the forefront of our subject. What are the plans for the lab in the future? 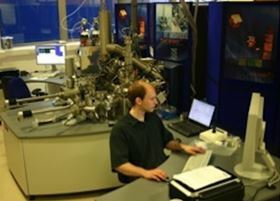 We are continuing our development of the use of ion beam techniques for the analysis of ion conducting materials. In another five years we will probably be looking for the fourth generation of our instruments, which will couple very high spatial resolution with high depth resolution to gain both elemental (and isotopic) information from very small volumes (nm3) of materials to probe grain boundaries and very thin interfacial layers. We will also continue our very fruitful collaboration with theorists in the Thomas Young Centre in London to develop new materials, and strengthen our collaborations with national facilities such as Diamond Light Source and the UK Spallation source at the Rutherford Appleton Laboratories. Lab Profile: Prof Brian Maple.